You might remember our announcement last year about our new partnership with audio-visual furniture developer AVTEQ, Inc. to offer our Line Array Speaker System as an accessory with several of their videoconferencing furniture products. Our partnership has proven fruitful so far, as our speakers and AVTEQ’s LCD/Plasma videoconferencing carts look like a match made in audio-visual heaven. 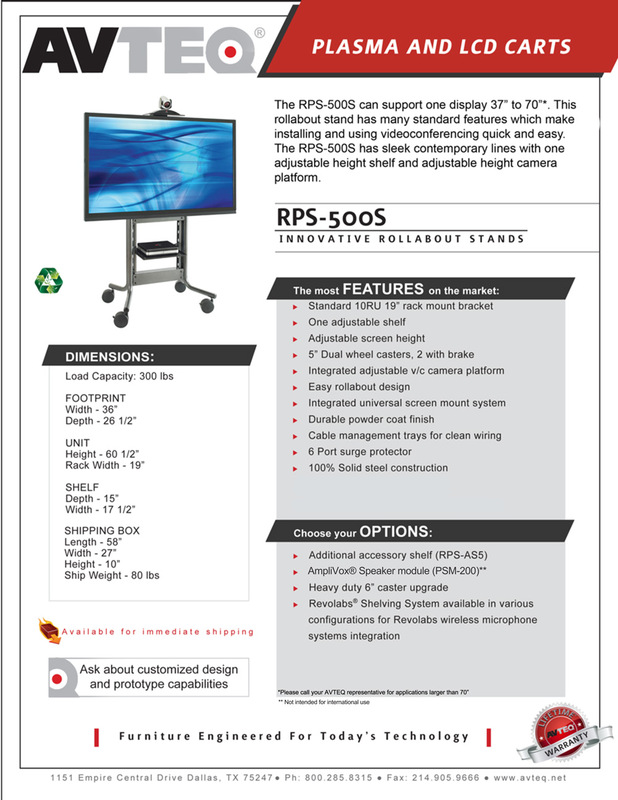 To prove it, we thought we would share a couple product spec sheets that provide both a great look at the technology, as well as a breakdown of the options and accessories available for purchase. Click the read more button below to continue. Head to ampli.com to learn more about how the versatile Line Array Speaker can improve your portable audio needs. 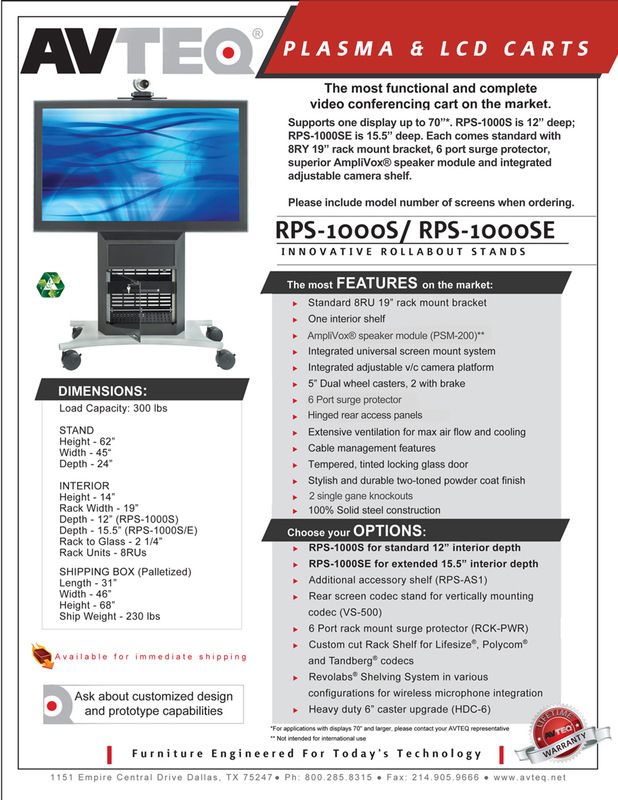 For more information on purchasing an AVTEQ videoconference cart with an Amplivox Line Array Speaker, visit AVTEQ.com.